Capt John R. Johnston (P) - Flew five missions as CoPilot with the 1Lt Calvin A. Swaffer Crew (44, 45, 48, 49, 50). Upgraded from CoPilot to Pilot for mission #54 on 26 July 1943. Flew 19 credited missions as a 1st Pilot with three different CoPilots: 2Lt Lester A. 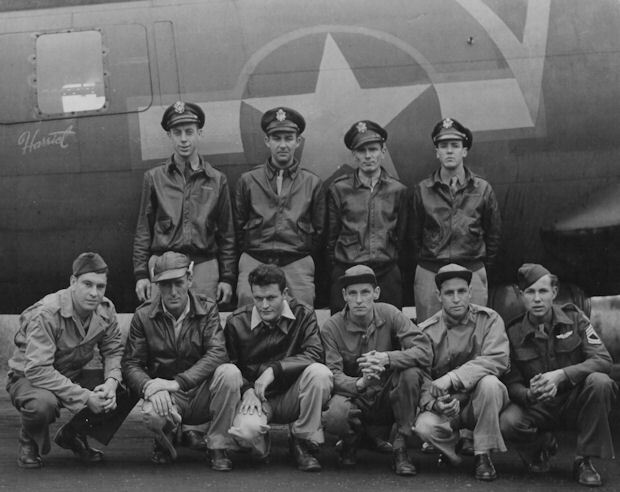 Lake, Jr - Fourteen missions (56, 57, 58, 60, 61, 64, 66, 70, 71, 72, 73, 76, 80, 81); 2Lt Quentin J. Gorman - Four missions (83, 86, 88, 89); 2Lt Walter A. Kyse - 1 mission (91). Completed combat tour on 22 December 1943.